ECOtality will compete with EV charging stations by Better Place and GE. But it has one big advantage. 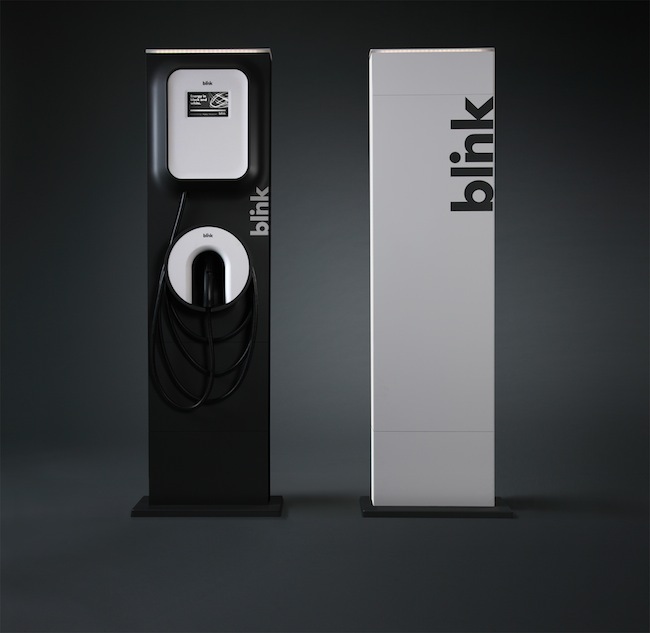 It’s been less than a month since GM unveiled its Yves Behar-designed electric car charger, and already the mega-corporation is being challenged by another design-savvy charge spot: the Blink charger, designed by Frog Design for charging station veteran ECOtality. The black-and-white Blink charging station, set to roll out this Fall, comes in both public and home versions. 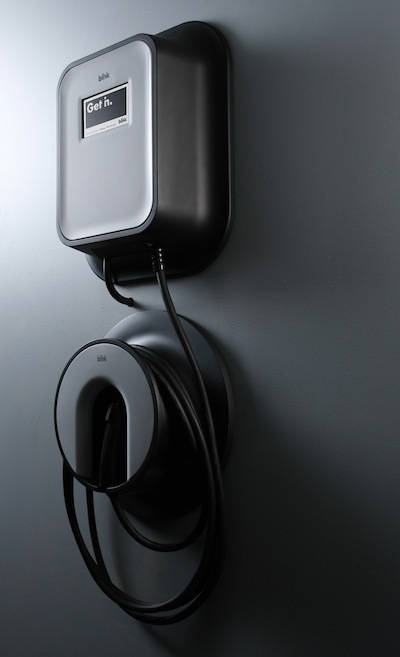 The Level II charger, which juices up cars in four to eight hours, is designed squarely for retail locations–such as grocery store parking lots and movie theater lots. The company has a big advantage compared to other design-minded charger manufacturers: a $114 million grant from the U.S. Department of Energy that will allow the company to deploy almost 15,000 charging stations in 16 cities across 6 U.S. states (and Washington D.C.). The grant lets ECOtality hand off its chargers for free to some of the first purchasers of the Chevy Volt and Nissan Leaf EVs, as well as select retailers. The home version of ECOtality’s charger consists of two separate units intended to be installed at eye level. The adaptable charger lies close to the wall and contains no sharp edges–it’s designed, in other words, to be as non-intrusive as possible. The public version of ECOtality’s charger shares some of the same parts and maintains the same soft, gender-neutral look and feel, but with an added nuance: a light at the top signals that a parking spot and corresponding charging station is available. The light goes off when a patron parks their EV in the spot. 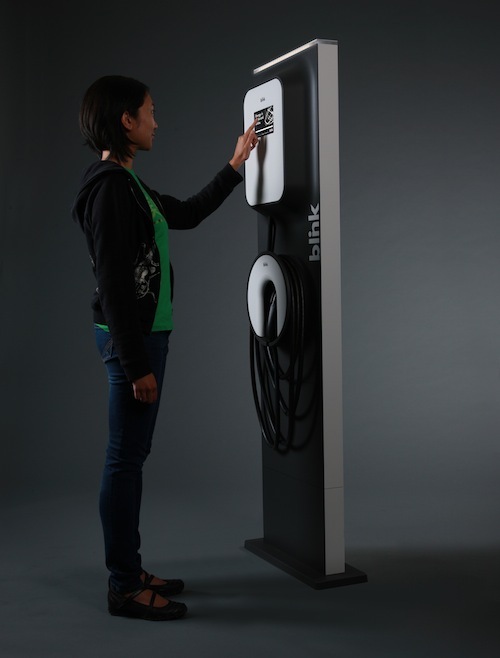 According to ECOtality, shops will also have the option of “rebranding” the charging stations to suit their needs. Eventually, ECOtality will unveil ultra fast-charging stations. But for now, the company is trying to roll out the Level II stations strategically. “We want to identify where [electric] cars will be in 10 years and serve some of those retailers,” Read says. Click here for our previous coverage of Fuseproject’s Wattstation for GE.